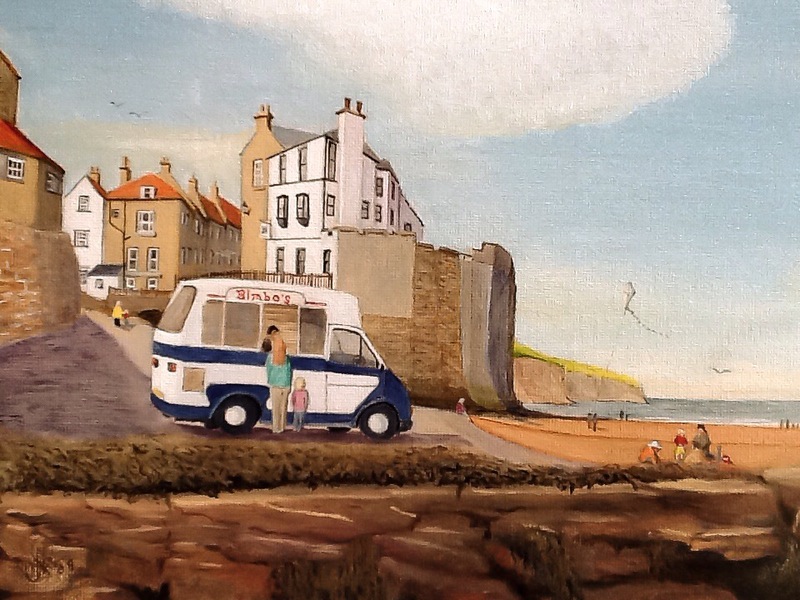 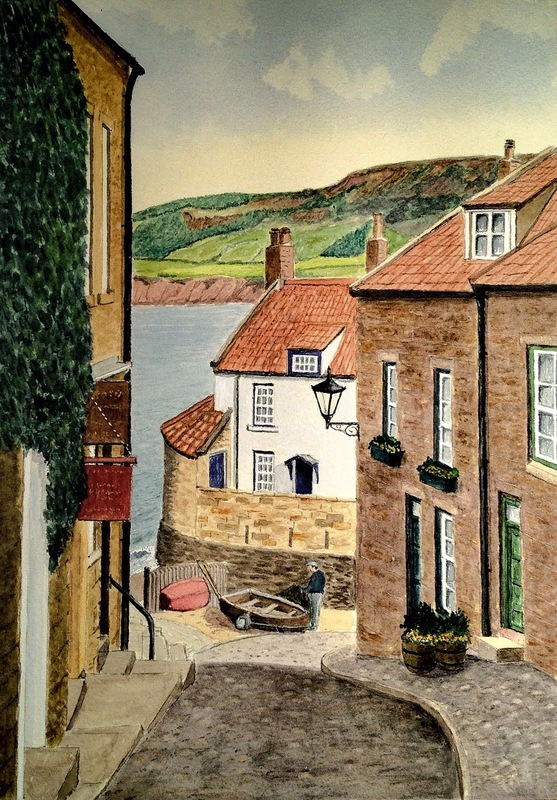 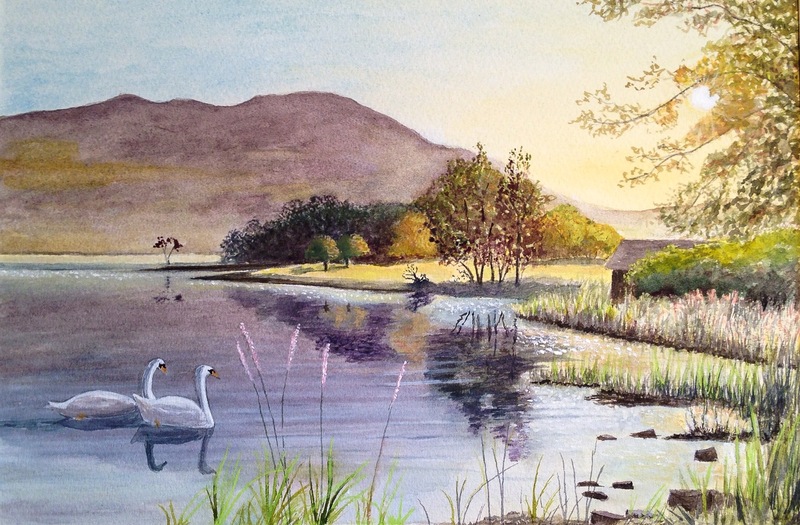 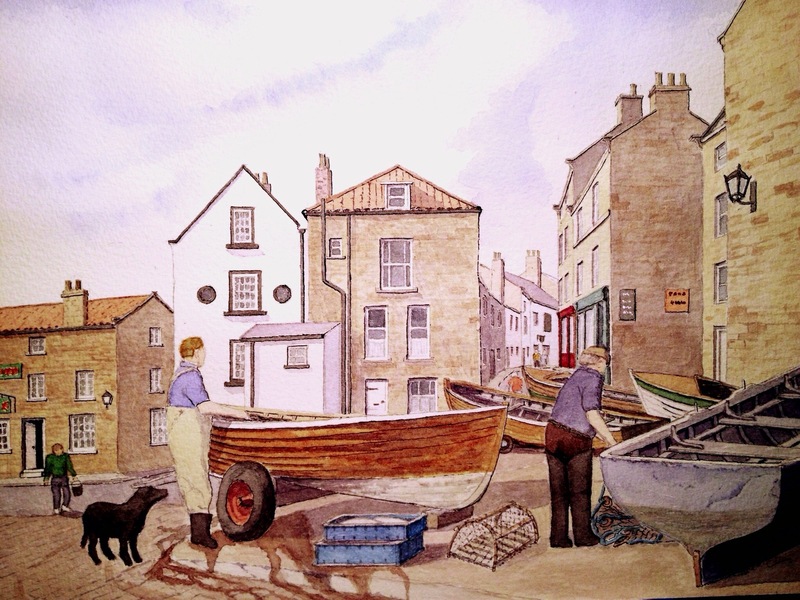 Painted in oils, a familiar sight at Robin Hood’s Bay, North Yorkshire. The name on the van is taken from Roddy Doyle’s excellent novel, ‘The Van’! 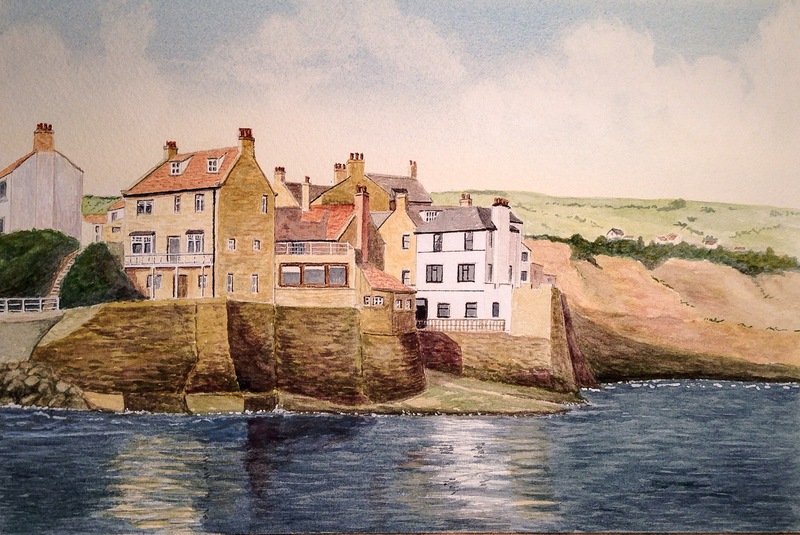 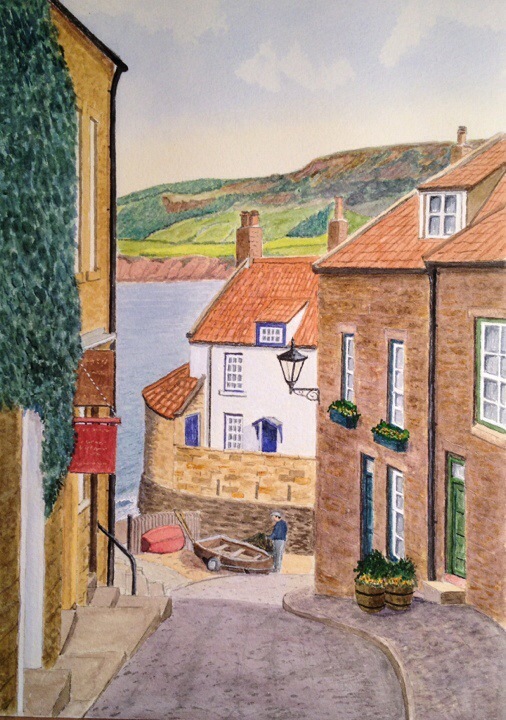 A Watercolour, finished today, of the steep winding streets of Robin Hood’s Bay on the Yorkshire Coast.